The K-1 Combination Auger provides an all-in-one solution for removing blockages from urinals and shower drains. Dual Power Operation - provides additional power necessary for removing tough obstructions. Telescoping Design - additional cable length to remove obstructions further down the line. “C” Cutter Head - break up hard blockages. Left Hand Wound Cable - strengthens cable and prevents kinking. K-1 Combination Auger is rated 5.0 out of 5 by 3. 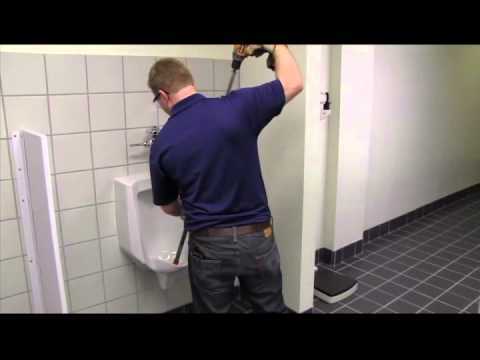 Rated 5 out of 5 by RonH from Best new tool to clear urinals This auger has been needed for a long time. Ridgid designed this auger to handle tough blockages and be easy to use. We bought a K-1 for each of our trucks. Rated 5 out of 5 by mandasue08 from awesome. works great! I love this product. Very easy to use. I recommend this to everyone I know.